Enstone Aerodrome is situated approximately 15 miles north-west of the centre of Oxford, just off the A44 between Woodstock and Chipping Norton, and we welcome visitors by both air and road. 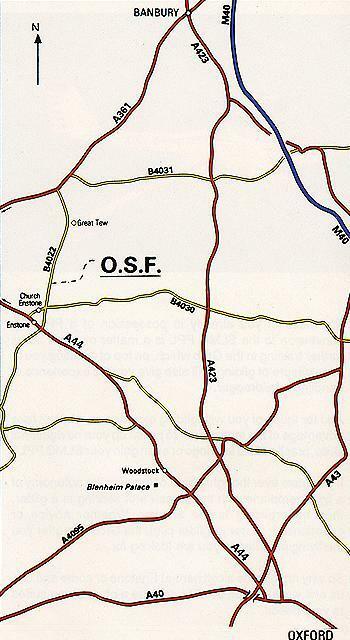 The entrance to the airfield is on the B4022, about 1/2 mile north of the junction with the B4030. On entering the airfield, follow the perimeter track all the way to the end – our clubhouse is below the control tower. If you are using a SatNav in your car, please enter postcode OX7 4NS which will take you right to the entrance on the B4022. Please see the Airfield page for details of our noise abatement procedures. can find us once you reach the airfield!